Announced last April as part of the Healing our Health System plan, the new service will provide intensive home care to clients beginning in November, 2017. Programming will be provided to clients for up to 90 days, after which it's anticipated that most clients will be able to remain in their homes with regular, ongoing home care, and not require immediate paneling for a personal care home. "Being able to recover at home, among familiar surroundings and comforts, can have a profound effect on recovery and also reduce the potential for injury," said Kelvin Goertzen, Minister of Health, Seniors and Active Living. "It's a much healthier option for those clients who don't need to be in hospital. This intensive service will also help reduce the length of time clients spend in hospital, and may help some avoid placement in a personal care home altogether." "We're pleased to expand on the valuable home care services we offer through the introduction of Priority Home," said Gina Trinidad, chief health operations officer for the WRHA. "Having an intensive service available for a short period of time will help reduce the length of time clients spend in hospital, and may help some clients age in place in their own home and community." There are individuals for whom transition to a personal care home is appropriate; however that process can be initiated from home as well. "With more robust community supports in place through Priority Home, people who need a personal care home can be paneled from the community, and remain at home while waiting for placement," says Trinidad. "It's a much healthier option for clients who don't need to be in hospital." Dorothy Wilk, a member of the WRHA's patient advisory committee for home care, agrees that long term care shouldn't be a person's only option. Her late husband remained with her at home with the support of home care services until he passed away last spring. She says living at home made a tremendous difference to his quality of life. "With the aging population we need to look at ways for people to live at home," said Wilk. "If people have support they can stay where they feel at ease, and when you're at ease, you thrive." 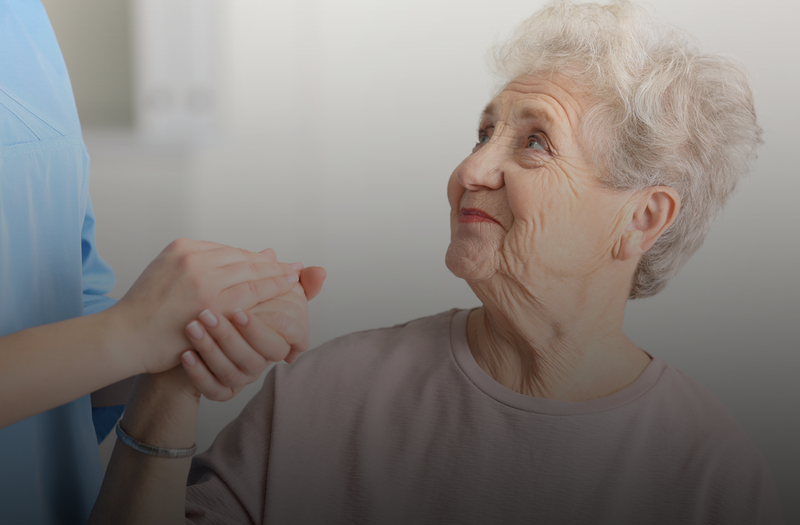 Clients will access Priority Home through hospital and community home care case coordinators, who will work with clients to determine the home care services that best meet their needs. Following a competitive request for proposals, the region has awarded contracts to We Care health services (part of the CBI Health Group) and ParaMed to provide health care aide and home support worker services in support of Priority Home.